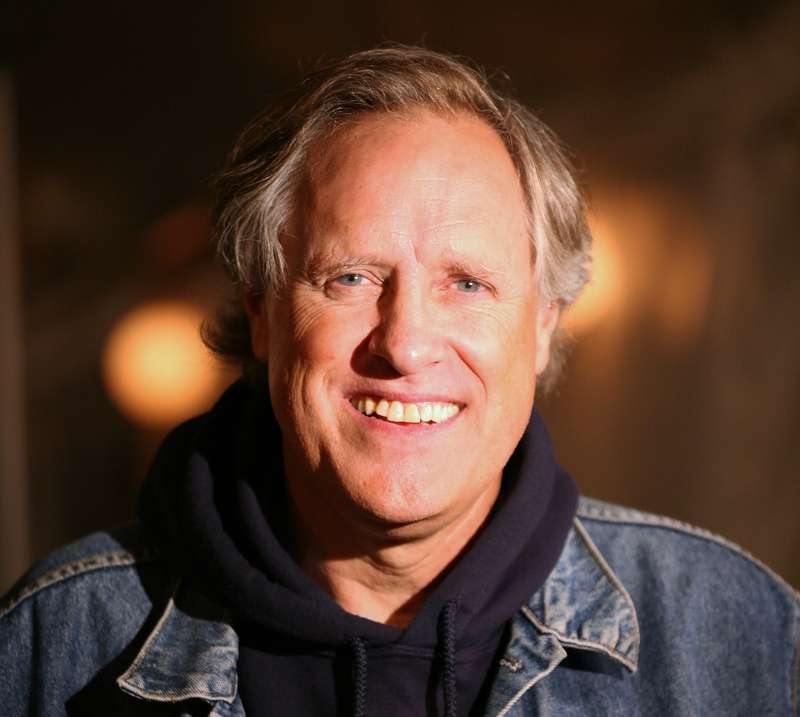 Tom Chapin | Will You Miss Me When I'm Gone? You might think that Jen Chapin simply had no choice but to become a musician. More than most American families, hers was full of musicians. 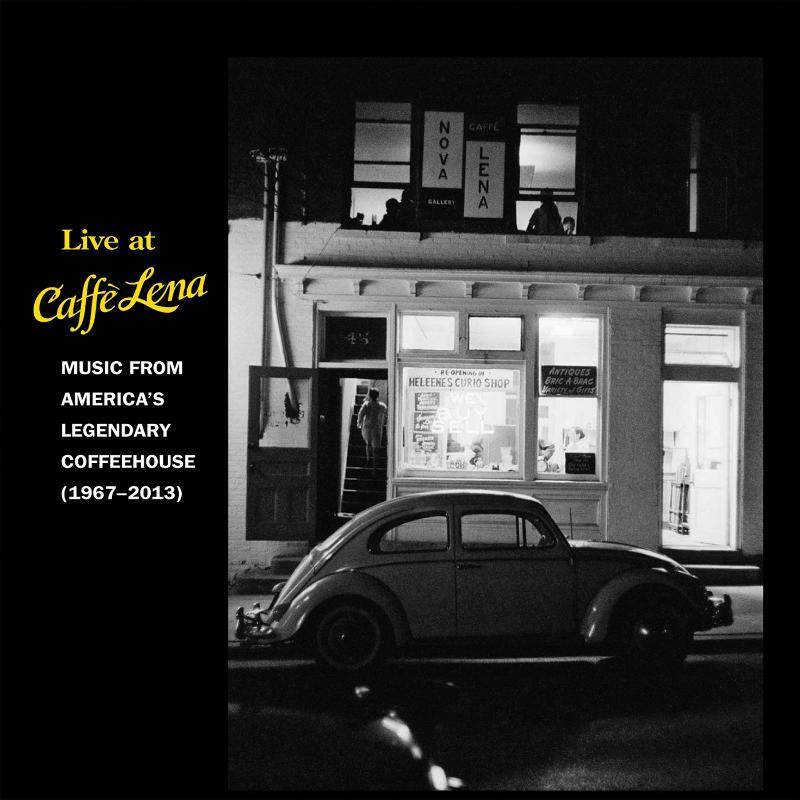 Live At Caffè Lena: Music From America’s Legendary Coffeehouse, 1967-2013 is slated for release on Sept. 24. 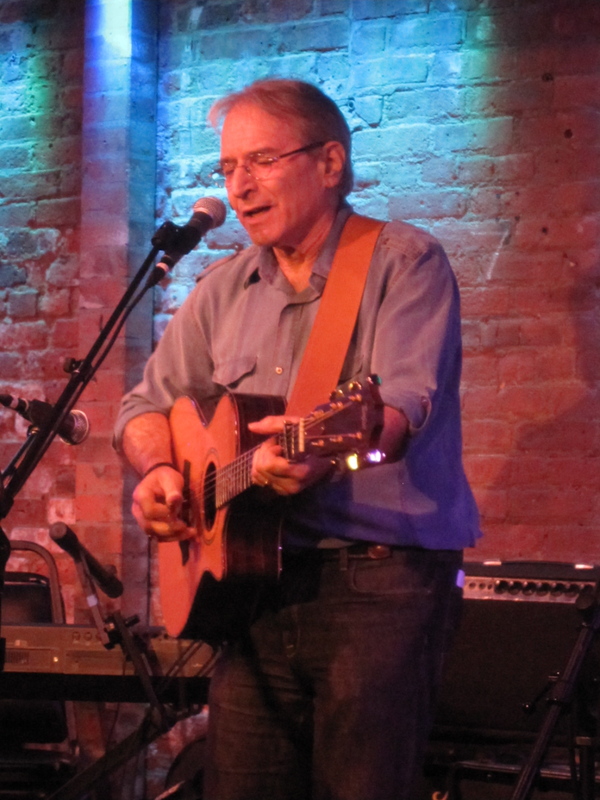 I’ve always meant to visit the legendary Caffè Lena, the tiny coffeehouse at 47 Phila Street in Saratoga Springs, N.Y.
Devonsquare, the sweet-harmonizing folk-rock trio, first piqued my curiosity about Lena and Bill Spencer’s cafe (or caffè, as they dubbed it, using two f’s) with their song “Caffè Lena” on the 1987 album Walking on Ice. Caffè Lena was a place of mythical proportions to me then. For one reason or another, I never found myself in Saratoga Springs. 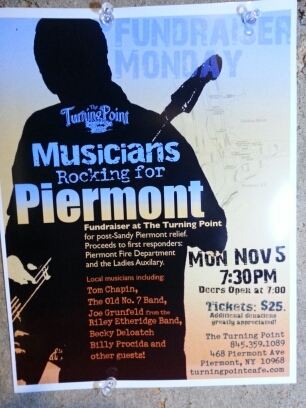 After all, I live close to The Turning Point in Piermont, N.Y., a music cafe that is, while 16 years younger than Caffè Lena, has a similar mission and musical profile. And then there was the Towne Crier in Pawling, N.Y., from 1972 until closing in June with plans to reopen soon in Beacon. That gave me a backup option just a bit farther afield than The Turning Point. So I never got myself motivated sufficiently to make the trek to Saratoga Springs. Happy New Year. We’ve been meaning to write, but we’ve been busy. But today we have some news we just had to share. The documentary “Greenwich Village: Music that Defined a Generation” has been quietly making the rounds of film festivals. Some of you probably have heard some word-of-mouth, got a chance to catch it at DOC NYC 2012 or at least have seen the trailer. We’ve only seen the trailer. It’s hard to tell from the clips alone how well the feature-length film really tells the fascinating story of the unique cultural, political and geographical elements nurtured so much talent. But the rare footage and new interviews — among the subjects are Pete Seeger, Judy Collins, Kris Kristofferson, Tom Chapin, Lucy and Carly Simon, Oscar Brand, Buffy Sainte-Marie, Ian Tyson, Eric Andersen, Israel Horovitz, Jose Feliciano, Kenny White, Sonny Ochs, Sylvia Tyson, Pete Fornatale, Happy Traum and John Sebastian — alone are surely worth the price of admission to anyone who’s interested in the time and place. 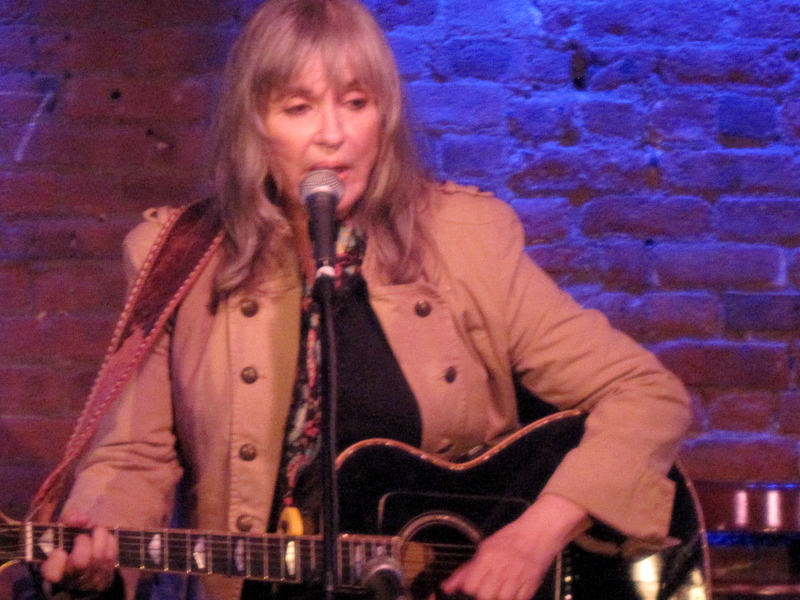 Sylvia Tyson at the 2010 Folk City Reunion. The film has begun a six-screenings-a-day run through next Thursday, Jan. 24, at IFC Center, 323 Sixth Avenue at West Third Street in Manhattan. Click here for schedule, ticketing and information about the theater. Tickets are $13.50 for adults, $9.50 for children and senior citizens, and $8.50 for IFC Center members. Happy Traum at the 2010 Folk City Reunion. will appear in person to participate in a panel discussion. Musicians Traum, Doug Yeager and David Amram and radio personality Brand are scheduled to appear. Terri Thal — known in Rockland County as a longtime defender and protector of history and the environment as an officer of the West Branch Conservation Association — who played an integral, nonperforming, role in the fertile musical scene. Abigail Rose Chapin and Lily Chapin have been playing as the Chapin Sisters since 2004, when they followed family tradition and started making music as a trio with half-sister Jessica Craven. That family tradition runs deep. Their dad is popular folksinger Tom Chapin. He and his brothers, Steve and the late Harry, performed as the Chapin Brothers from the late 1950s into the ’60s before venturing into their own musical worlds. The Chapin Sisters’ grandfather, the late great jazz drummer Jim, was also in the Chapin Brothers band for part of its existence. 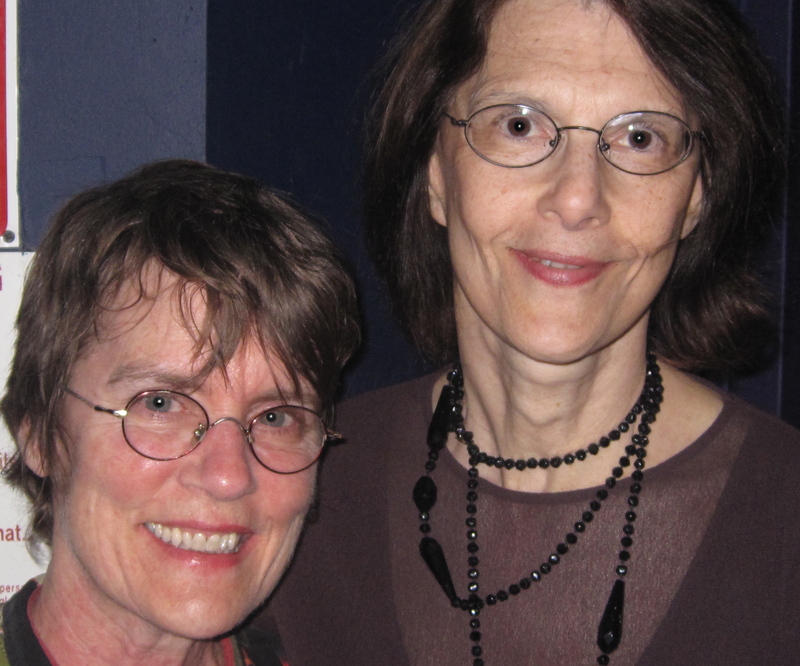 Their cousin, Jen Chapin, is also a contemporary folksinger. Abby and Lily grew up in Rockland County, N.Y., which Will You Miss Me When I’m Gone? calls home. Their mom, Bonnie Chapin, even named her longrunning women’s clothing shop in Piermont, N.Y., Abigail Rose and Lily Too, after her daughters. But they got their careers rolling in Los Angeles seven years ago. So while they’ve toured and played the East Coast before, we hadn’t gotten around to catching them live. 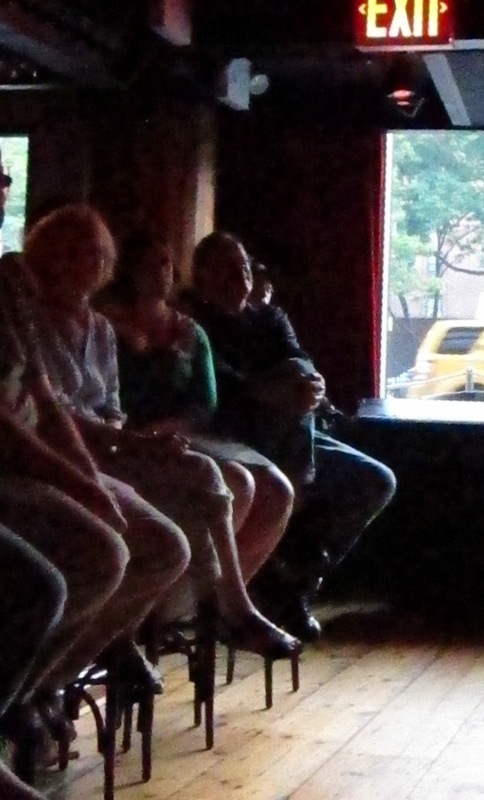 Proud dad Tom Chapin listens from the bar, leaning against the pillar, right. 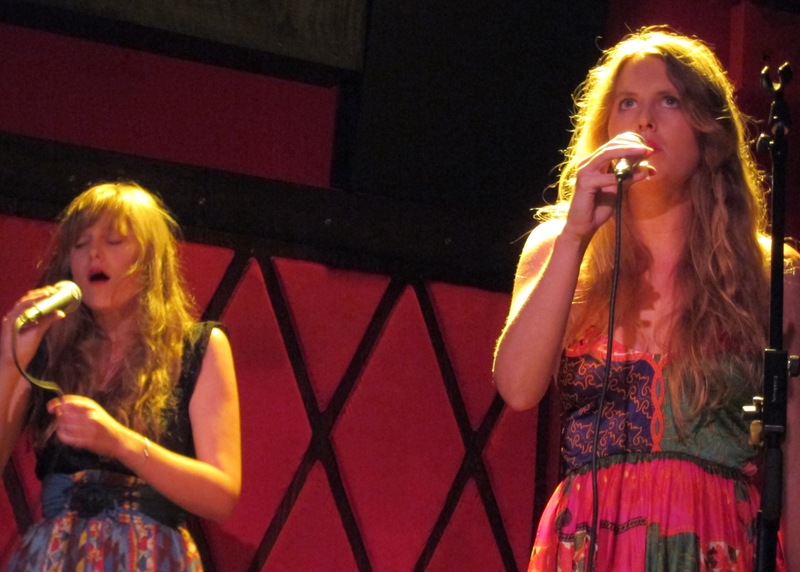 Last night (Friday, July 15) we got our opportunity to hear the duo at Rockwood Music Hall on Manhattan’s Lower East Side Rockwood Music Hall. And although they have other gigs coming up in the area — one of them just steps from the family home, at The Turning Point in Piermont at 8 p.m. July 19— their proud parents showed up to lend support. The lightly attended set was a great treat — and far too short. The sisters have really perfected the vocal harmonies so closely identified with the Everly Brothers and the Louvin Brothers, tackling classic folk themes and timeless relationship-troubles issues in their songs. Both of them have distinctive, strong, well-controlled voices that can come to the fore at a moment’s notice and then effortlessly dive back into seamless harmony. Lily’s voice is the lower of the two, and she’s a more physically expressive performer than her sister, who takes the high parts and has a sweeter, slightly more subdued approach to her performing. Who needs roadies: Pete Seeger is 90 and still carries his own gear! The crowd in Nyack’s Memorial Park was getting antsy after dark fell last night. The several hundred people gathered in the park on the banks of the Hudson River were waiting for one man: legendary folk singer Pete Seeger. He was the headliner for the Health Care for All rally. The organizers kept assuring the crowd that Pete was on the way, racing to Nyack after an appearance in Manhattan’s Central Park. But by shortly after 7, it started looking like the rally’s 7:30 end time would come and go before Pete got there. The crowd crowded the stage for a glimpse of Pete Seeger. Then someone near the park entrance shouted, “He’s here. Somebody just saw him.” That caused some in the back of the crowd to turn and face the driveway into the park, expecting to see a livery car racing in. Instead, through the gathering darkness strode a rail-thin man in a chambray shirt and jeans, a floppy hat on his had, with two gig bags, one slug from each shoulder. Yes, it was the 90-year-old folk icon, walking into the park, carrying his own gear. A roar rose up from the crowd, which seemed to double in size as people pushed forward to get a glimpse of Pete. The energy was intense. And I’m sure that the doubters who left before Pete arrived are kicking themselves for missing out on such a vital performance. A number of other musicians performed brief sets during the nearly four-hour-long rally, including the Roues Brothers of West Nyack, Tom Chapin of Piermont and Emory Joseph of NYC. Check out the Nyack News & Views report here. Legendary folk singer Pete Seeger and Piermont’s own Grammy Award-winning folksinger Tom Chapin will headline a Health Care for All Rally in Nyack’s Memorial Park tomorrow. Pete, 90, and Tom top a roster that also includes New York City blues rocker Emory Joseph and The Roues Brothers from West Nyack. The rally for universal health care was organized by Health Care for All Now and is co-sponsored by The Fellowship of Reconciliation, Rockland Progressive Dems, Spring Valley NAACP, Nyack NAACP, WESPAC Foundation, Organizing for America, and Rockland Women’s Political Caucus. For further background, click here to read an article from The Journal News about the rally. Health Care For All Rally, Sunday, Oct. 4, 4:30-7:30 pm. Memorial Park, 53 Piermont Ave (at Depew Ave.) Nyack, NY. (845) 512-3261 http://healthcareforall.tripod.com.